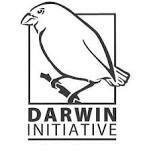 The Darwin Initiative is a UK government grants scheme that helps to protect biodiversity and the natural environment through locally based projects worldwide. The initiative funds projects that help countries rich in biodiversity but poor in financial resources to meet their objectives under international biodiversity conventions. Zoos Victoria is committed to fighting wildlife extinction. Their goal is to be the world’s leading zoo-based conservation organization, the Australian authority on captive holding and management of native threatened species, and the major facilitator of wildlife knowledge for conservation action. The Asia Foundation is a nonprofit international development organization committed to improving lives across Asia. They are strengthening governance, expanding economic opportunity, increasing environmental resilience, empowering women, and promoting international cooperation. The Sacramento zoo is dedicated to leaving the world a better place through their commitment to local and globacl wildlife conservation efforts. Every time you visit the Sacramento Zoo, you are helping make a difference. Australian Himalayan Foundation, based in Sydney, with the vision of helping the people of the Himalaya achieve their goals. The Australian Himalayan Foundation’s aim is to achieve this through the long-term viability of schools, through the provision of health, education and medical services and by supporting environmental projects throughout the Himalaya. The Calgary Zoo’s Conservation Outreach lives and breathes conservation. Funds raised by the Outreach team support conservation programs from the Wechiau Hippo Sanctuary in West Africa to the snow leopards of the Himalayas, along with many programs in Canada and around the world. Kevin Strange, Senior Advisor of Conservation Outreach, works to create financial support for the numerous conservation projects the Calgary Zoo sponsors through its Conservation Fund and spends considerable time raising the profile of this important work within the community at large. Sebastopol artist Molly Eckler created the Snow Leopard Conservancy’s beautiful logo, letterhead and business cards. Visit Molly’s website to see examples of her work commissioned by the Pt. Reyes National Seashore Association, Laguna de Santa Rosa Foundation, City of Sebastopol, and California Coastal Conservancy – and her award-winning baby T-Rex T-shirt design. Esri is a software development and services company providing Geographic Information System (GIS) software and geodatabase management applications. Through its nonprofit grants program, Esri provides software and technology to nonprofits whose focus is on environmental and humanitarian initiatives. Traveling with KarmaQuest Ecotourism and Adventure Travel is much more than a holiday adventure, it is experiencing a new culture and way of life from the inside out. It is helping to conserve the natural environment, endangered wildlife, and our world’s rich cultural heritage by supporting conservation and sustainable tourism. It is about learning from studied and local experts in the field and on location. KarmaQuest is a partner with the SLC in offering Special Snow Leopard Treks. A tenet of the San Francisco Zoo is the recognition that people have the intelligence and compassion to turn the current extinction and environmental crisis around; they just need some help to get motivated. That’s why the Zoo has made it their goal to inspire our one million annual visitors to take some form of conservation action. From breeding endangered species as a hedge against extinction to operating Zoo facilities in a green manner to working to preserve the habitat in our own backyard, the San Francisco Zoo practices what it preaches. The Shared Earth Foundation is committed to the tenet that all creatures have an enduring claim to sustainable space on this planet. It believes that today’s human beings have the responsibility to share Earth’s resources with other creatures and future generations by limiting their adverse impact on the planet, and by enriching and protecting Earth’s wild life and the places they inhabit. Spirit Hoods manufactures a unique line of animal inspired faux fur accessories for men, women, and children. We all want to be unique and we all appreciate the love and the bond we share with our family and friends, our BrotherHoods, our SisterHoods, our Tribe. SpiritHoods are more than just a wild accessory. They represent this bond and the connection we have with our wild natures. The Spirit Hood creators believe in the conservation and protection of both the planet and its animals, and to help give back they have created Product Blue, through which they donate a portion of online proceeds to non-profit organizations dedicated to wildlife conservation. Rob and Barbara Dicely established their facility in 1993 in order to provide the public with an opportunity to encounter animals they may never otherwise see or care about. Their ambassador cats now visit schools, libraries, scout groups, park and recreation centers, and private venues. Their programs have reached over 600,000 people with the urgency of saving the earth’s remaining wild cats. WCN is dedicated to protecting endangered species and preserving their natural habitats. WCN supports innovative strategies for people and wildlife to co-exist and thrive. WCN fosters the entrepreneurial spirit in the field of conservation, partnering with independent, community-based conservationists around the world and providing them with the capital and tools they need to develop solutions for human-wildlife coexistence. To magnify the effectiveness of their work, WCN sustains a strong network of wildlife supporters through which these courageous conservationists may learn from each other and communicate directly with passionate donors. Snow Leopard Network (SLN) (www.snowleopardnetwork.org/) is charged with coordinating the efforts of researchers and conservationists working across the snow leopard’s vast range. The network will exchange information and collaborate on projects through its member organizations, with the goal of maximizing limited resources and minimizing duplication of effort. WWF-Mongolia (http://mongolia.panda.org/en/) collaborates with the Conservancy and WWF-Russia to ensure consistent practices trans-nationally. WWF-Nepal (http://www.wwfnepal.org) provides support to several important snow leopard protected areas, such as Shey-Phoksundo National Park where Rodney Jackson conducted the world’s first radio-tracking study of snow leopards in the early 1980’s. WWF-Russia (http://www.wwf.ru/about/what_we_do/species/eng) is involved in the protection of snow leopards in Southern Siberia. Projects are being conducted in the Altai and Buryat Republics and the Conservancy regularly collborates with WWF’s scientists.